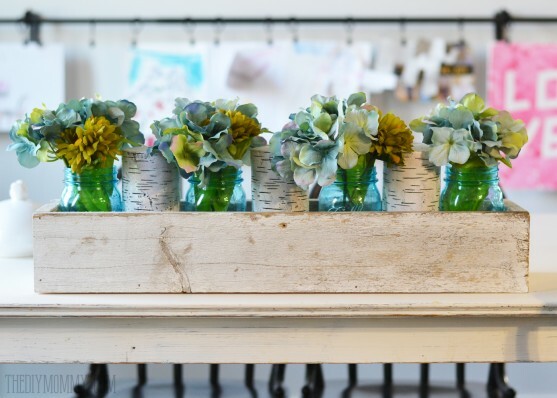 You might remember this pretty centerpiece box from our teal & green vintage-inspired Christmas home tour. Back then, I filled it with spruce tree clippings, pinecones, and these same birch candles I found on clearance at the Superstore. 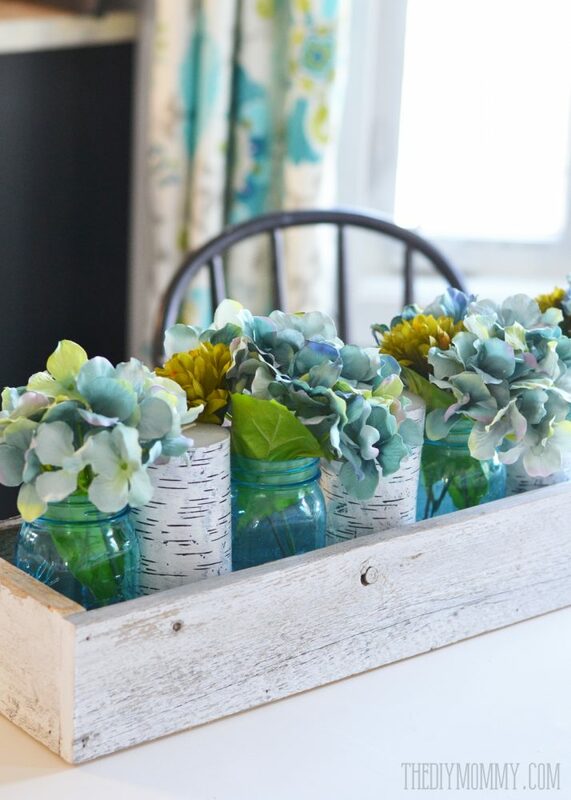 Now, I’ve freshened the rustic barnwood planter box up for Spring by placing some blue mason jars between the candles and filling the mason jars with faux soft teal hydrangeas and faux green mums. My friend made this box for me out of real barn wood, and I was inspired to use silk flowers by my friend and neighbor Sara. 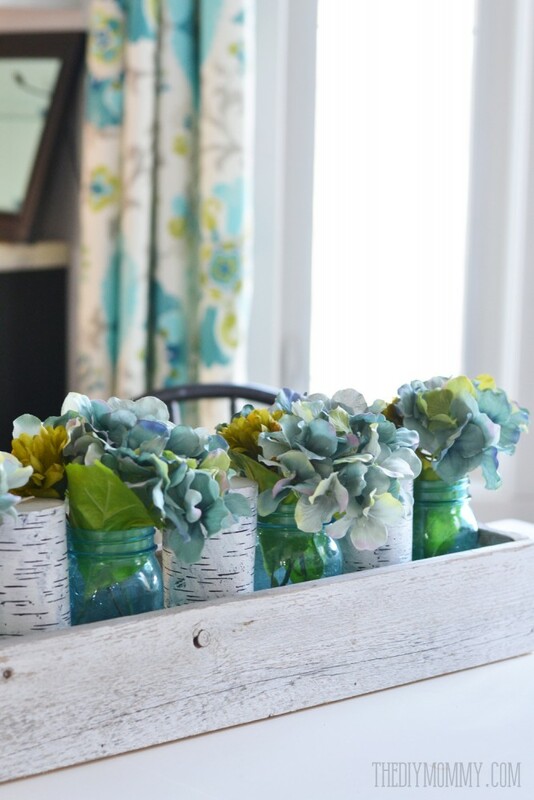 You should read her DIY Easter basket Centerpiece blog post here – she has some brilliant floral arranging ideas paired with her MAD DIY skills! Faux flowers and greens can still be very beautiful if you keep your eyes open for ones that are realistic looking. I found these lovelies at Michaels and they were on sale 2-for-1! 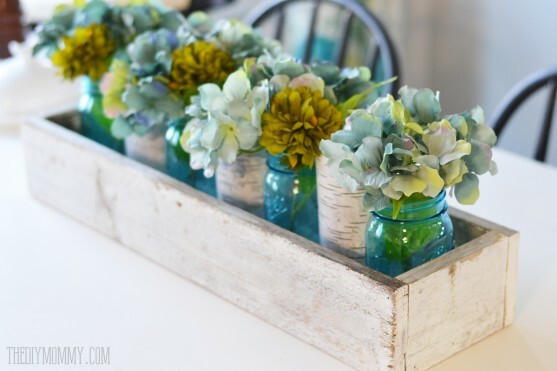 I really need a wooden box like that, it makes for such a beautiful container for a centerpiece! Love your Spring take on it!